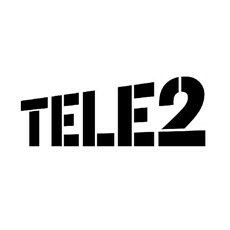 Tele2 AB (Tele2) and Telit Communications PLC today announced that they are entering into a Machine-to-Machine/Internet of Things, M2M/IoT cooperation to provide numerous new premium value added services, VAS, and connectivity solutions. Since the launch of its worldwide M2M/IoT operations a year ago, Tele2 M2M Global Solutions has signed a number of agreements with customers and partners. Today, Tele2 announced a cooperation with Telit Wireless Solutions, the global leader in IoT enablement. Telit, with its deep domain expertise and global footprint, and Tele2, with its proven credentials as the foremost provider of convergent communication services, together make it possible to provide comprehensive solutions and become a competitive player in the M2M/IoT market. The cooperation will focus on a number of areas, including the launch of innovative joint solutions designed specifically to improve serviceability and network Quality of Service (QoS), as well as go to market strategies. The joint solutions will enable any size customer to access a full portfolio of premium M2M/IoT connectivity and VAS right out of the box. Previously these services were only available for large enterprises.